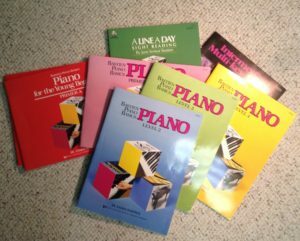 You can check out what books I use for curriculum for each instrument at the links below this page in the right column. I have a wide selection of books for you to choose from. This is an important part of making sure you get the best value for your investment of time and money into music lessons. I am always open to discuss different books with you if you have other preferences. This list of books continues to grow as I become aware of good alternatives. Please check back often.